Whoever had this in her or his car is going to be be very enthusiastic about this! 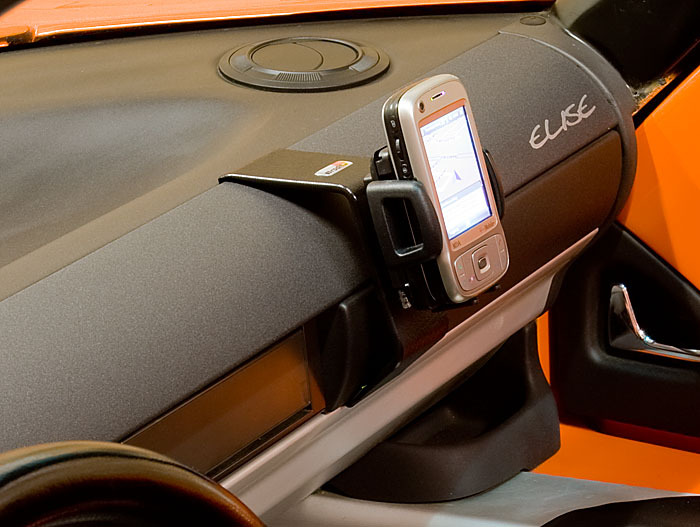 The Brodit clip for the Elise S1 is a very simple yet very effective holding system for mobile phones or satnavs. 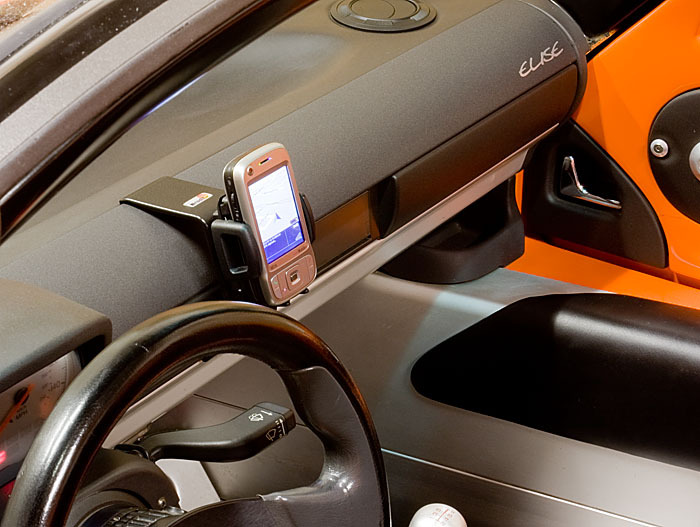 Mind you, this is just the clip which is specific for the Elise S1, you would need to have a holder for the phone of satnav, but these are universal or specifically for the phone. Simply use small screws or high tensile velcro and you'll have a brilliant solution. Tip: don't use the self adhesive strip on the clip. When it's clipped on, it won't come off while driving (not even when you're trying). 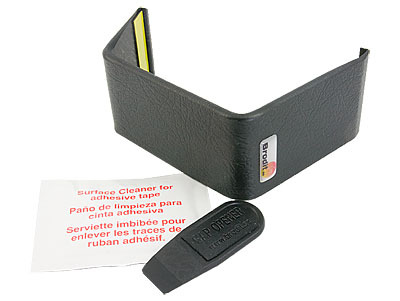 When you stop, simply hook the clip off the dash and throw it in the boot. Nobody will even suspect you from having valueables in the car!